Perhaps this is the dress some of us should have worn over the holidays and to parties to eat less. Or, from another viewpoint, the caption includes "Who'd not starve to lead the fashion?" 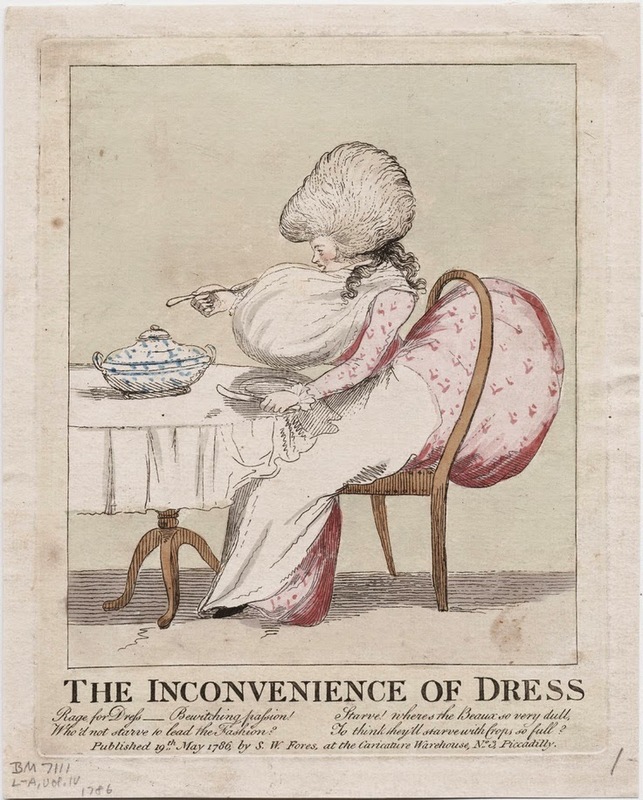 Below is a 1786 fashion plate with only slightly less puff. "Rage for dress, bewitching passion! Who'd not starve to lead the fashion." First image from the Lewis Walpole Library collection HERE.